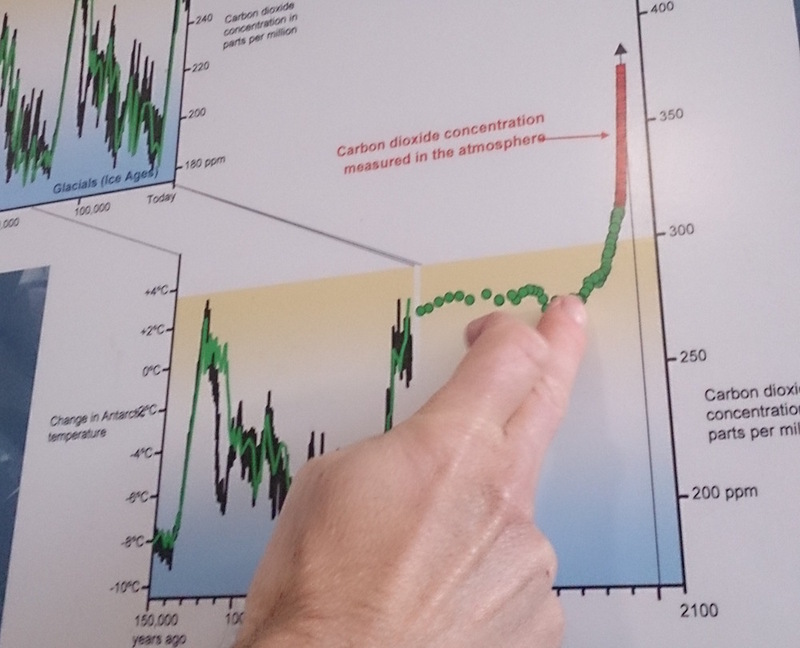 As part of the exhibition at Cambridge Central Library there will be a talk and discussion event looking at the themes of climate change, uncertainty and predicting the future. Come along to meet the artist Rachel Jacobs and Dr John King, Senior Scientist at the British Antarctic Survey and join a discussion about the future, uncertainty, climate change and the polar regions. This event is hosted by Cambridge Carbon Footprint and Cambridge Central Library. Rachel Jacobs has been working with Senior Scientists John King and Robert Mulvaney, alongside Matthew Polaine and Beatrix Schlarb-Ridley from the innovation team at the British Antarctic Survey to explore how we can communicate and understand issues of uncertainty, climate change, the polar regions and their impact on our everyday lives as part of her most recent arts/research project - Performing the Future. The Prediction Machine and Promises Machine are currently being tested and set up to be exhibited at Cambridge Central Library from Saturday 3rd – Sunday 18th February. This latest tour is part of wider project called Performing the Future and as part of this I have been developing a new (virtual) machine called The Future Machine. You can join the Future Machine when you submit a promise at the exhibition, your promise is then recorded online and you will be invited to make updates on how you are keeping your promise, or change your promise and also act as a witness to the future as it unfolds by taking part in activities that are taking place around the UK. Every year for the duration of the project you will also receive a gift in the post, a message from the future that will help us build the Future Machine together. As part of the exhibition there will be two parallel public events. Firstly I will be running a workshop with the ‘Not Quite Over the Hill’ community group in Arbury in Cambridge, where we will be writing predictions based on different weather scenarios and creating data visualisations using multi-coloured felt. Secondly as a result of the Performing the Future workshop that took place at the British Antarctic Survey with senior scientists John King and Robert Mulvaney we will be doing a talk and discussion event at the library on Friday 9th Feb to continue the conversations we started in the workshop about how we can understand scientific uncertainty and climate change in the polar regions and how this relates to our everyday lives – this is likely to be an interesting discussion! 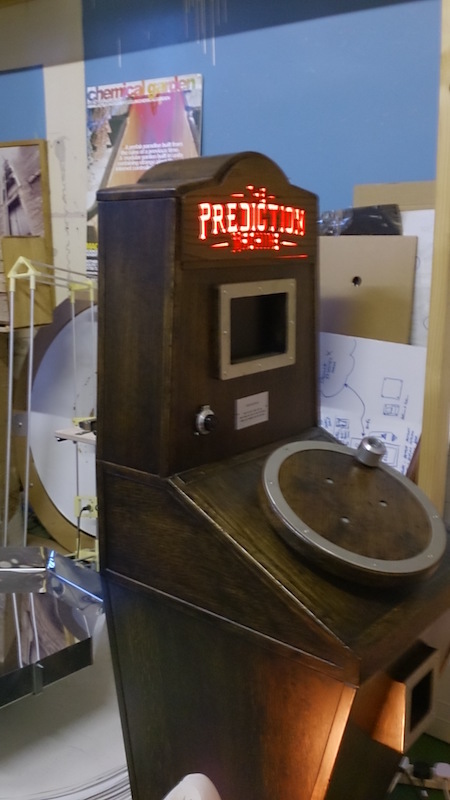 The Prediction Machine is going to Cambridge Central Library as part of the latest tour and will be installed on the first floor next to the reception area. Alongside the exhibition workshops are due to be taking place with a local community group and school (details to be confirmed. There will also be a free discussion and Q&A event with the artist Rachel Jacobs and Dr John King from the British Antarctic Survey (details to be announced soon). The latest tour and workshops are put of a larger project ‘Performing the Future’ which is funded by the Arts Council of England and Mixed Reality Lab, University of Nottingham.